Love themed dies from Memory Box featuring a gnome, a heart shaped flower, a heart, and more. 6 dies included. Poppystamps craft die featuring an owl. Craft die featuring an owl. Memory Box/Poppy Stamps craft dies are made of 100% steel. For use on cardstock, felt, and fabric. Cut, stencil, emboss, create! Use in most leading die cut systems. 0.7 x 1.3 inches, 1.8 x 3.3 centimeters. This Die-namics coordinates with the I'm Owl Yours stamp set for perfectly sized die cuts every time. The dies are open inside to allow you to stamp, then cut OR cut, then stamp. This feature keeps our Die-namics lightweight and allows for easy removal of the die cut from the die. 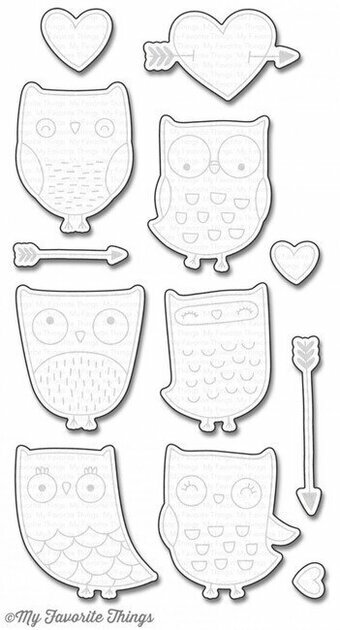 The 12 piece I'm Owl Yours Die-namics includes: Owls (6) ranging from 1 1/2" x 1 3/4" to 1 1/4" x 1 5/8", Arrows (2) 2" x 1/4", 1 1/4" x 1/4" Heart with arrow 1 3/4" x 1", and Hearts (3) 13/16" x 3/4", 1/2" x 1/2", 3/8" x 3/8". 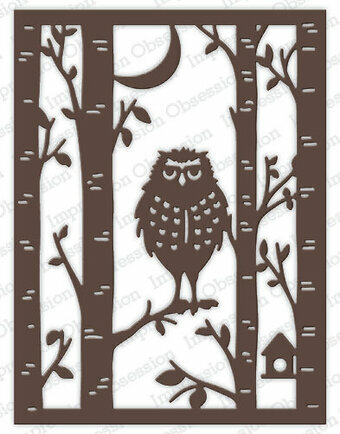 Impression Obsession craft die featuring an owl among trees. This is a single die measuring approximately 3-3/4 x 5 inches. This set of 6 dies coordinates with our Better Together stamp set! Sizes: Boy with fox: 2 3/4" H x 1 3/4" W, Bear: 1 1/4" H x 1 1/8" W, Girl with owl: 2 3/4" H x 1 3/4" W, Girl with dog: 3" H x 1 1/2" W, Hearts: 1/2"-3/4". Craft die featuring a Owl & Bird. CottageCutz are thin metal dies, like a QuicKutz. They are easy-to-use and add great detail to any craft project. They are compatible with most brands of die-cutting machines. Adapters and shims may be required on some machines. Use with paper, cardstock, vinyl, vellum, adhesive-back paper and more. Made in the USA and 100% lead-free. Express Yourself MIP-3D Stickers. Personalize your cards, gift tags, invitations, scrapbooks and more with these fun stickers! 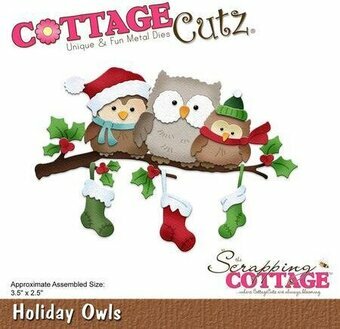 This 3x3 inch package contains Green Owl On Branch: three 3D stickers Imported. Express Yourself MIP-3D Stickers. Personalize your cards, gift tags, invitations, scrapbooks and more with these fun stickers! 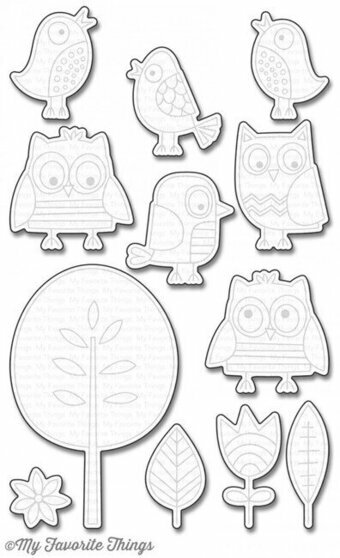 This package contains New Owl: four 3D stickers on one 4x3-3/4 inch backing sheet. Imported. 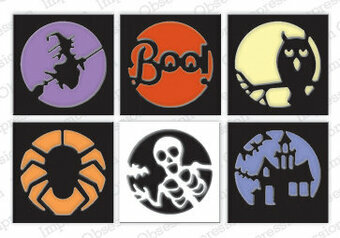 Duet Dies - This collection coordinates with our "Spookalicious" stamp set. Cut the die and then line up the stamp so that there is an even border around the stamped image. Feature dracula, an owl, and a bat.